> Click here to sign your peaceful protest against satanism on campus. At the beginning of this school year, a Satanic student club opened at North Carolina State University. The club claims to promote humanism and encourage "benevolence" and empathy, along with the rejection of "tyrannical authority." 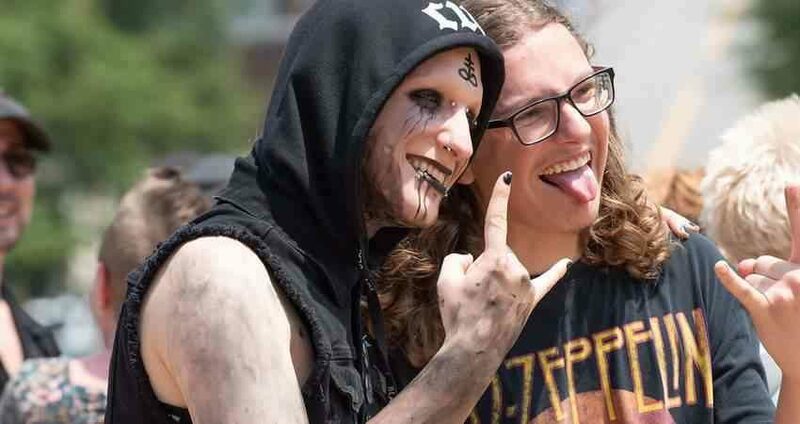 Under the title of Satanic Students at North Carolina State, the club holds weekly meetings on campus "where newcomers can learn about Satanism." This should be a wake-up call for all Americans who wish to preserve "one nation under God." The club's leader, Peter Akers, suggests that Satan should enjoy the same recognition as God and Christianity. "We have the same amount of validity as them, but our message is better. It's more modern. It's less restrictive and puritan," said Akers, according to the student newspaper Technician. Satanic groups often claim that they deserve the respect and "validity' of a religion. They hold that Satanism, atheistic or otherwise, must be recognized as a “religion,” to receive the same rights and exemptions found in Christianity. But nothing could be farther from the truth. Religion, coming from the Latin religare (to relink man with God), seeks the worship of God as its primary and basic end. This relinking reached perfection at the Incarnation of the Son of God and His opening of the gate's of Heaven with His death on the Cross. Religion is NOT simply a list of firmly held beliefs, symbolic acts or dedication to an ideal; if this were the case, even the Boy Scouts could claim religious status. No matter how good, active or dedicated an organization may be, so long as it lacks the worship and service toward God as its end, it cannot be considered a religion and should not be given the same status as such. Yet Satanism is pushing its way into the open. In recent months, satanic displays have been erected on public property in multiple states as a way to attack the true meaning of Christmas. Ten Commandments monuments have been challenged or dismantled. The symbol of the Cross is also under attack. However, there is no equality between good and evil. Good is good. Evil is evil. There is no middle ground between truth and error. Saint Peter exhorts us to “Be sober and watch: because your adversary the devil, as a roaring lion, goes about seeking whom he may devour” (1 Peter 5:8). Watchfulness and seriousness are essential elements in the struggle against the temptations and wiles of the devil. Those who love God must not allow evil to advance. We must courageously resist those who seek to lead young souls astray and dethrone God in America. Satanism is not only incompatible with true order but also a destructive force which thrives on anarchy and sin, and thus detrimental to society. We must not remain idle in this struggle. For St. Paul exhorts us to “Put on the armor of God, that you may be able to stand against the deceits of the devil. For our wrestling is not against flesh and blood, but against principalities and powers, against the rulers of the world of this darkness, against the spirits of wickedness in the high places. Therefore take unto you the armor of God, that you may be able to resist in the evil day, and to stand in all things perfect” (Ephesians 6:10-18). TFP Student Action is urging the leadership of North Carolina State University to shut down the satanic student club. Satanism undermines the common good by attacking everything good, true and beautiful. > Click here to sign your peaceful protest.